Memories are the ultimate contradiction. They can warm us on our coldest days  or they can freeze a loved one out of our lives forever. The McCarthy family has a trove of warm memories. Of innocent first kisses. Of sumptuous family meals. Of wondrous lessons learned at the foot of a rocking chair. But they also have had their share of icy ones. Of words that can never be unsaid. Of choices that can never be unmade. Of actions that can never be undone.Following the death of his beloved wife, John McCarthy  Grandpa John  calls his family back home. It is time for them to face the memories they have made, both warm and cold. 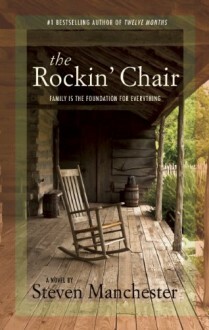 Only then can they move beyond them and into the future.A rich portrait of a family at a crossroad, THE ROCKIN' CHAIR is Steven Manchester’s most heartfelt and emotionally engaging novel to date. If family matters to you, it is a story you must read.